Eddie Aikau Big Wave Contest on Standby for Thursday & Wanderlust Oahu kicks off at Turtle Bay. Lots of action in store this week up on the North Shore as 2 monumental occasions roll in to town, and both on Thursday. 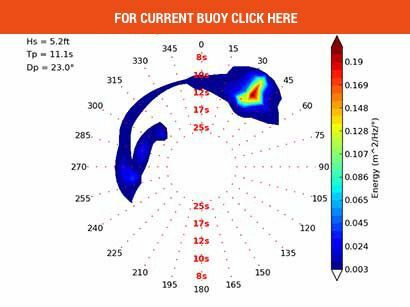 Top of the surf meter is the massive swell hitting late Wednesday and into Thursday with Eddie potential size and quality waves. Quiksilver has called the event YELLOW standby warning, watching the swell for a very real possibility of running the contest with very favorable conditions. The contest that never runs might run. Quik issued a yellow alert yesterday morning and the event is on standby. A large NW is set to hit the rock late today Wednesday, bringing potential to run Thurs. 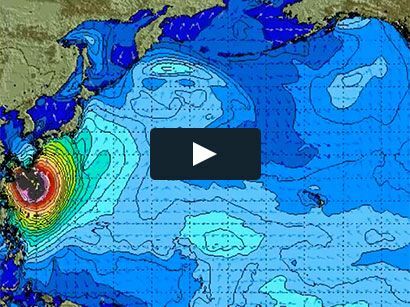 Waimea just may show its teeth and for the first time since ’09 the Eddie could go. This would be the ninth time for the event in the 31 years of its existence. We’ll have to wait and see, but thus far things are looking up. Mason Ho (Aikau Pick), Danilo Couto, Mark Matthews, Koa Rothman, Ben Wilkinson, Jamie Sterling, Billy Kemper, Shawn Dollar, Carlos Burle, Kealii Mamala, Gabriel Villaran, Michael Ho, Kai Lenny, Kahea Hart, Nathan Florence, Damien Hobgood, Kalani Chapman, Ryan Hipwood, Danny Fuller, Nic Lamb, Anthony Tashnick, Rusty Long, Derek Dunfee and Brock Little. 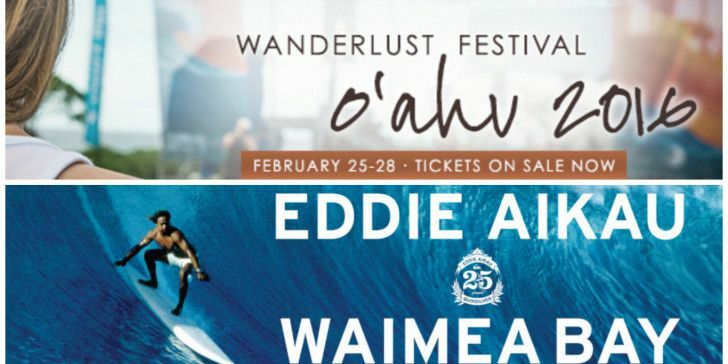 Plus there is more great excitement with the 4th Annual Wanderlust Oahu Festival kicking off on Thursday as well, and maybe just in time for the Eddie Celebration After Party. Wanderlust O’ahu brings together a remarkable group of yoga and meditation instructors, musical performers, speakers, artists, and chefs for a transformational retreat in one of the world’s most awe-inspiring natural resorts. Your experience may start on your mat, by the sea shore, or on the dancefloor, but Wanderlust will get into your mind, body and soul. It may start in your ears, whether from the inspirational words of a speaker or the pulse-pounding beats of a musical artist. It may begin in your eyes, as you drink in the surrounding natural beauty or learn to align a challenging pose. It may start in your heart, as you make new friends or experience the joy of trying something you’ve never dared to do. Regardless of what starts you on your path, Wanderlust is an experience that will leave you different than when you came — with new ideas, new friends, newly discovered abilities, and greater peace. Enjoy these artists live: MC YOGI, Citizen Cope, Trevor Hall, DJ Drez, Sol Rising, Elijah Ray, Jaya Lakshmi and Ananda, Melody Jay & more!